This book was another great selection from the Audiobook SYNC. It was paired with "Egg & Spoon" by Gregory Maguire, with the mutual theme of "girls who seem to be nearly overcome by their situations, only to discover the power of their own voices." I haven't listened to "Egg & Spoon" yet, but I can't wait to compare it to "Every Last Word." Samantha is the girl at the heart of this story, and her "situation" is purely-obsessional obsessive compulsive disorder. As a high school junior, she hides her mental illness from everyone except her family. Especially from her best friends, the Crazy Eights, who are the most popular girls in school. At the beginning of the school year, she meets Caroline, someone who Sam didn't think she'd ever hang out with. Caroline, in turn, shows her the Poet's Corner, a hidden room where a group of students meet to share their poetry. Sam hides her new group from the Crazy Eights, even as she begins to like who she is with them more than with her best friends. 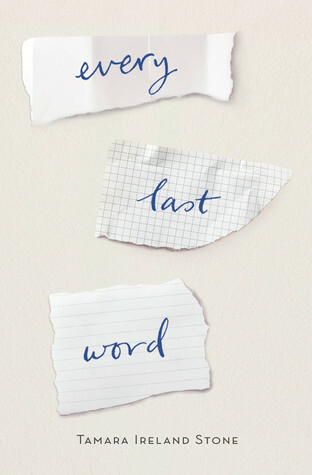 "Every Last Word" is the story of Sam figuring out where her friends, priorities, and mental illness fit into her personal identity and the type of person she wants to be. This novel has been praised for its accurate, accessible portrayal of OCD, and I can only second that praise. I liked Sam, I rooted for Sam, and I got to learn something along the way. Yes, I suspected some plot points were coming, but they were well-executed and made fro a compelling read once they came to fruition (as I noted in my Goodreads review). Most importantly, Stone folded Sam's OCD into the story in an organic way: it's central, but not the only thing happening in Sam's life or the plot of the book. Sam deals with the same identity and friend struggles that most teenagers run up against, her OCD is just additional problem she has to deal with that's slightly more unique than her others. Verdict: Affirmed. For general readers of YA or anyone curious to know more about OCD through a novel, this is a great pick. 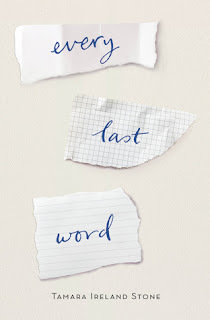 "Every Last Word" by Tamara Ireland Stone, published June 16, 2015 by Disney-Hyperion. Audio narration by Amy Rubinate, published June 16, 2015 by Ideal Audiobooks.